At Seattle Hempfest® - We are no longer shipping! Pick your membership up at the Membership Entrance! Don't walk up the stairs at our south gate come on over to our Membership tent at the fountain and we'll take care of you! 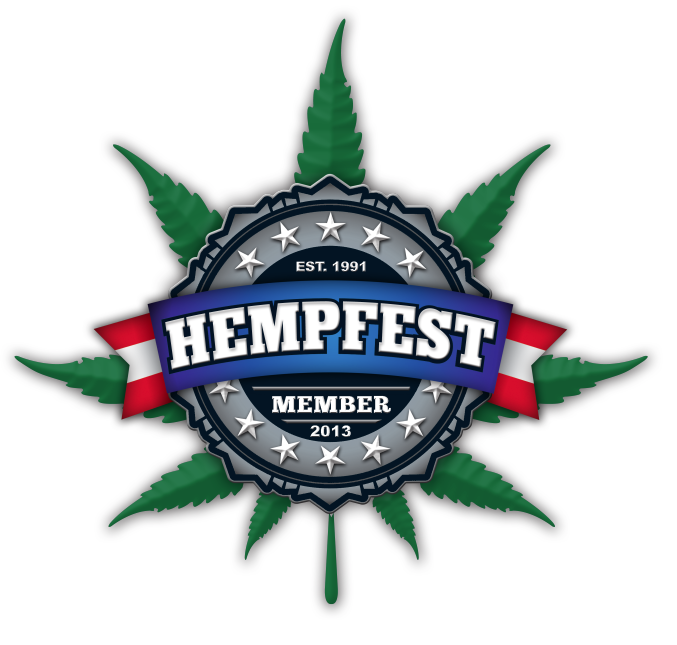 Member Entrance access: Use our member entrance at Seattle Hempfest®. Cut the long lines (and the donation bins! ), and walk directly into Hempfest® like the VIP you are! Our staff will greet you with your free donation button and color event program. Bring a guest: At the Member level, you can also bring 1 guest through the member entrance. No more waiting in line for you and your best friend (or date; or mom...). Those under 21 cannot attend Member's parties but can still enjoy all of the other benefits that our memberships have to offer! Invite a guest: At the Member level, you can also bring 1 guest for free to all of our Members events! Member Raffle: Get an entry in our Members Raffle, for a chance to win prizes from collector shirts or posters, to hemp products, or vaporizers! Member card: available exclusively to our members, your personalized plastic card will let you show your support for the best protestival all year long; it's also your special pass to our events (though we always have your name on our printed a-list)! Member shirt: Show your support with our Members Special shirt, available exclusively to Seattle Hempfest® members! Upgrade to our $200 V.I.P. level and get a host of additional VIP benefits, including an invitation to our Friday night Speakers Social after-party, a unique chance to hang out with the movers and shakers of the movement! PLUS: Along with our current years shirt - receive last year's shirt as a bonus while quantities last!